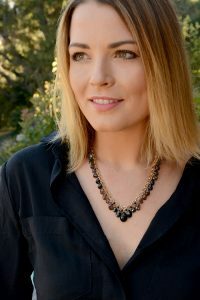 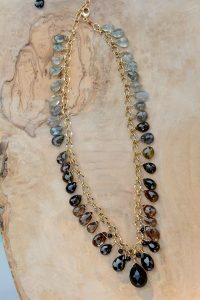 This necklace is a STUNNER, representing all the colors of night and it’s transitioning from pale blue-grey to dark green to smokey to black. 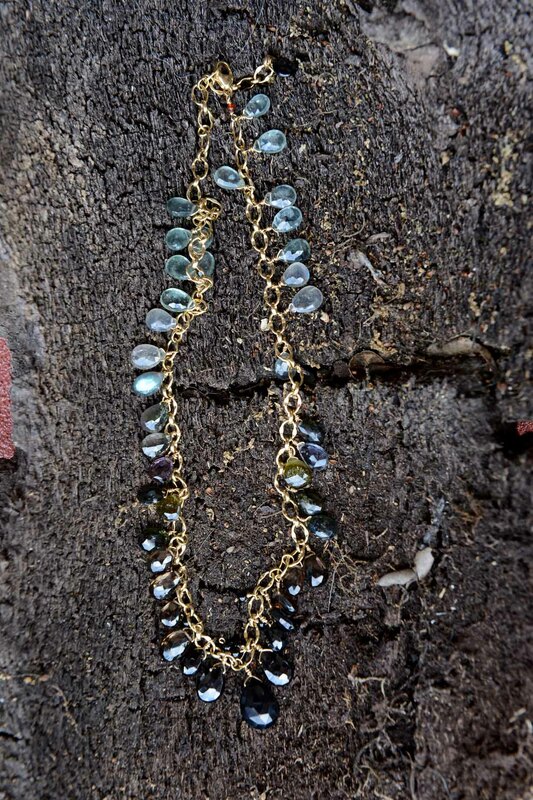 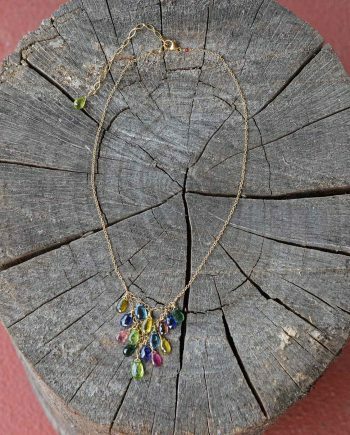 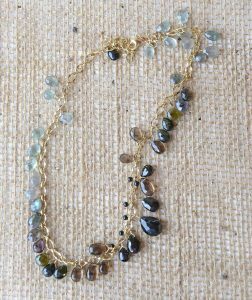 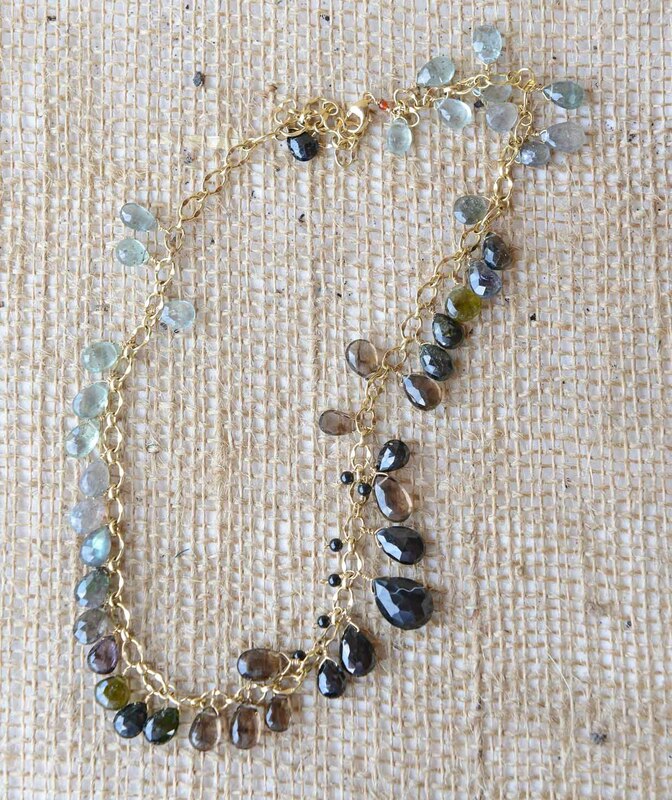 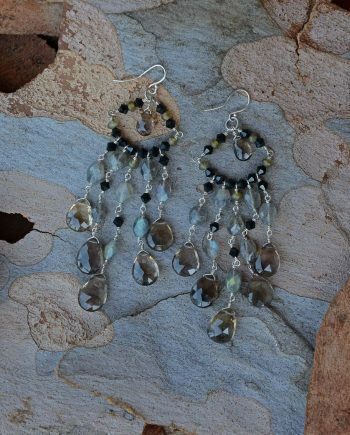 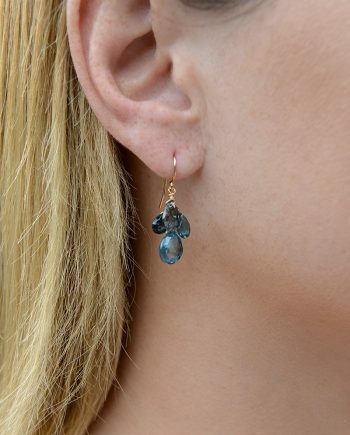 Moss Aquamarine, Labradorite, Tourmaline, Smokey Quartz and Black Spinel dangle off a strong 14K Gold-filled chain. 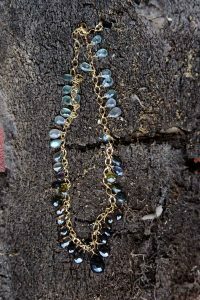 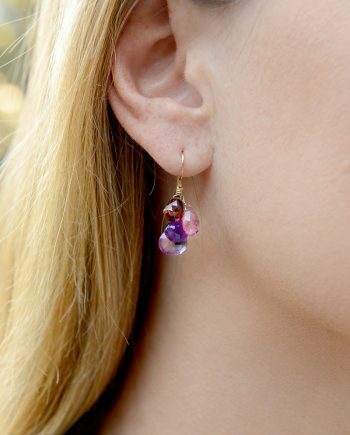 Looks amazing under a blazer or with an evening gown!